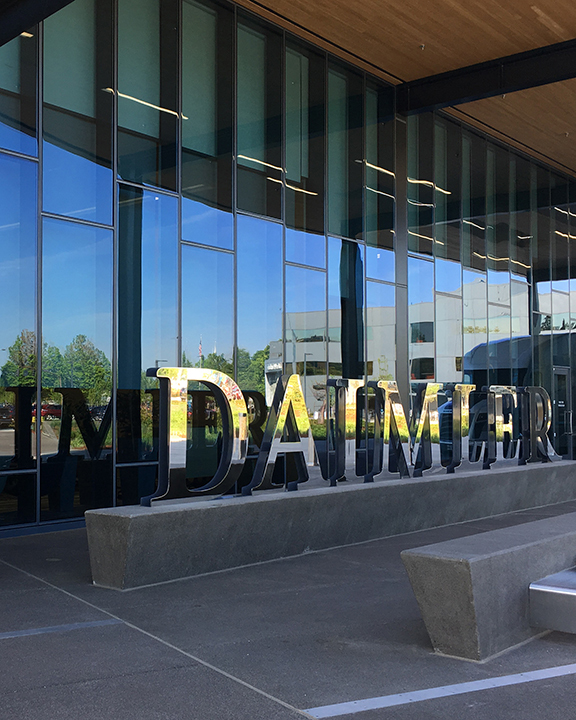 Daimler Trucks North America celebrated the April 19th opening of its innovative new US headquarters on Swan Island in North Portland. As the landscape architects and visual communications designers for the project, we enjoyed touring the completed campus that takes advantage of the riverfront site and numerous flexible, social spaces. 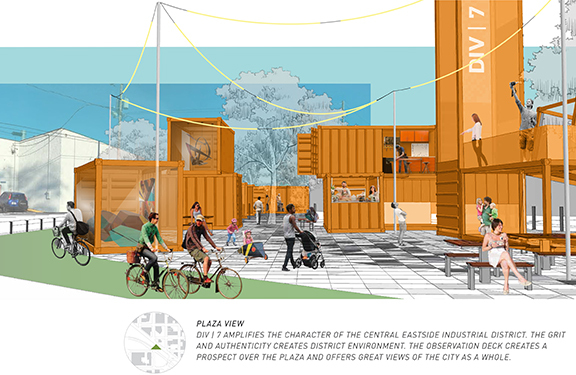 The sophisticated site design reflects the industrial setting through concrete and stainless steel elements in the plazas and entryways surrounding the building. A generous terrace and lawn gives way to a restored riverbank. 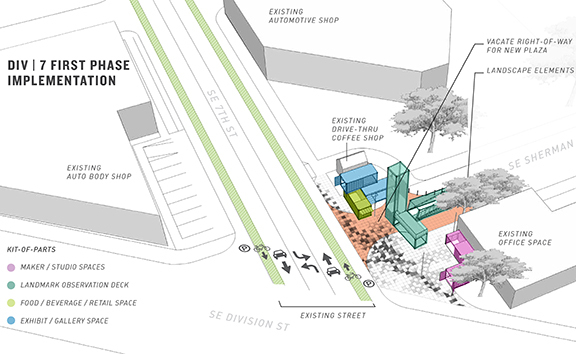 A new segment of Willamette Greenway Trail features a large river overlook built on the foundation of a prior structure. 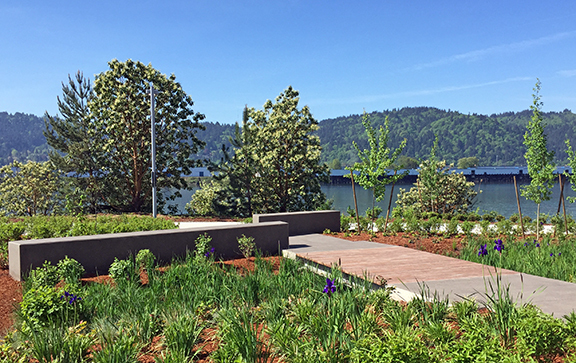 Campus stormwater is managed through a variety of methods including an ecoroof and a south terrace water feature that directs rainwater from the building’s roof to treatment swales. Mayer/Reed’s interior and exterior signage design includes a massive identity monument in mirror-surface stainless steel inspired by Daimler’s state-of-the art vehicle engineering and design. 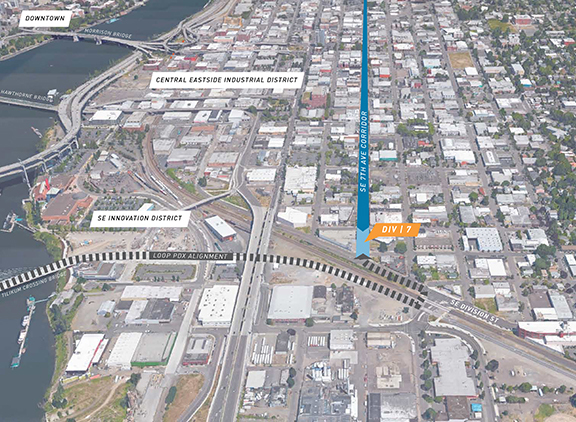 Over the next few weeks, employees once located in internally-focused offices away from the Willamette River, will move into their new glassy spaces with views of the downtown skyline. 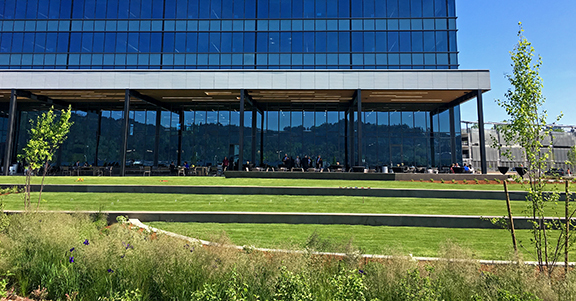 The new headquarters, targeted to be LEED platinum, ushers in an era of contemporary company culture where employees are encouraged to collaborate across disciplines in a cutting edge, sustainable environment.